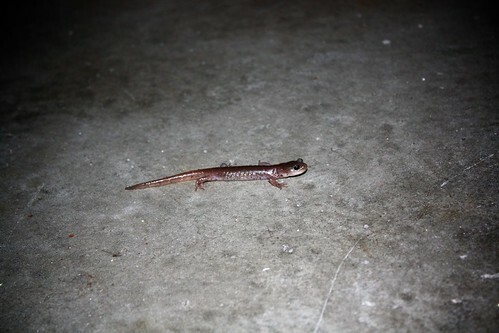 A salamander followed my car into the garage this evening. We (Butters, Jeff and I) chased after it with my camera to get a picture as it scurried away under the closed garage door. I actually thought it was a gecko until we looked at the photo on the camera and saw its buggy eyes.